Happy ebonite. – Leigh Reyes. My Life As a Verb. Ever since there were fountain pens, there were ebonite fountain pens. Ebonite or vulcanite or hard rubber remains a nostalgic, classic material, evoking pens as they were first made in the late 1800s. Below, from top to bottom: a giant Ranga (modern), John Holland hatchet filler (vintage), Waterman 55 (vintage), Danitrio raw ebonite (modern). Many of today’s modern ebonite fountain pens continue to be made in India, one of the world’s largest consumer markets. Brands like Wality and Camlin are as familiar as Parker and Sheaffer. Ranga’s handmade eyedropper ebonite pens, with ebonite feeds, are probably as close as we can get today to the very beginnings of fountain pens. 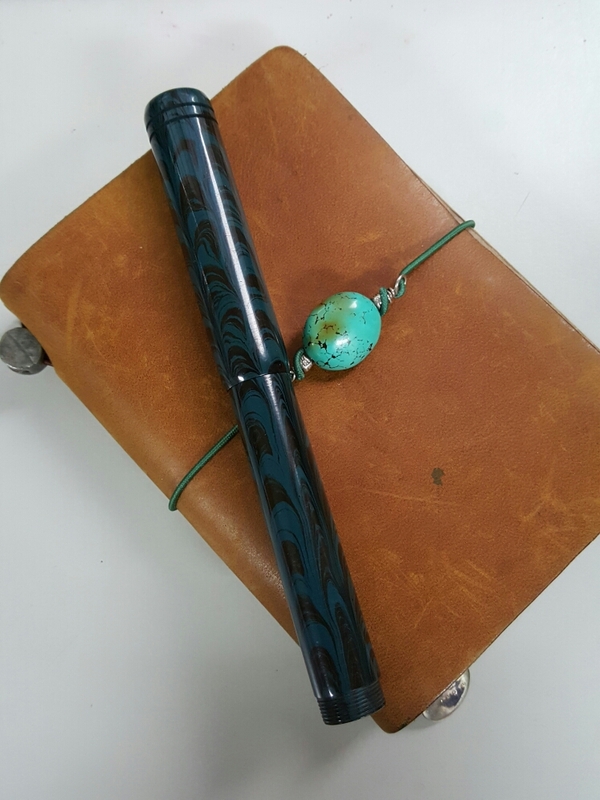 My first pen from Peyton Street Pens was a Soquel that Ranga made to Teri’s design. The Soquel came with vintage Eversharp nibs (I actually got two pens, one with a flexible stub and another with a semi-flexible fine nib) and had an aerometric filler. 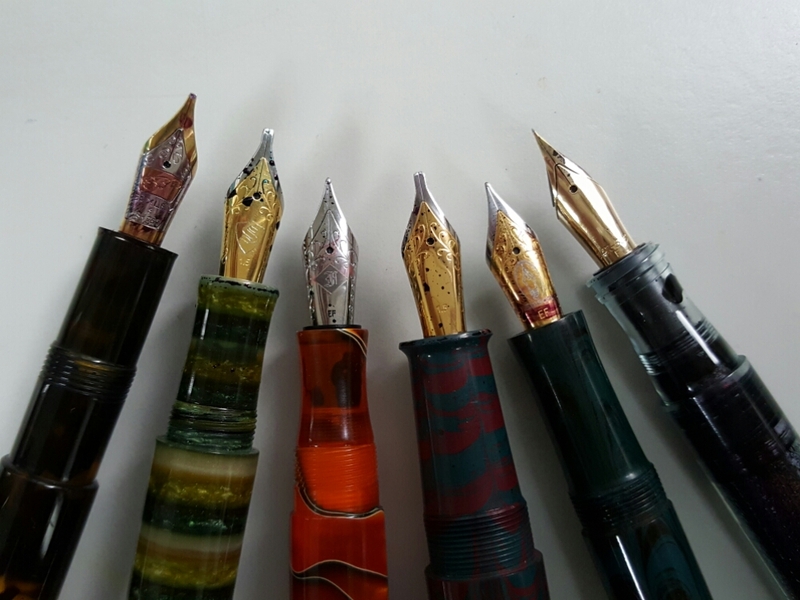 Having vintage nibs in sturdy bodies was handy, because I could let those new to fountain pens experience the joys of vintage nibs without feeling mild anxiety over the potential harm to the vintage pen bodies that came with them. 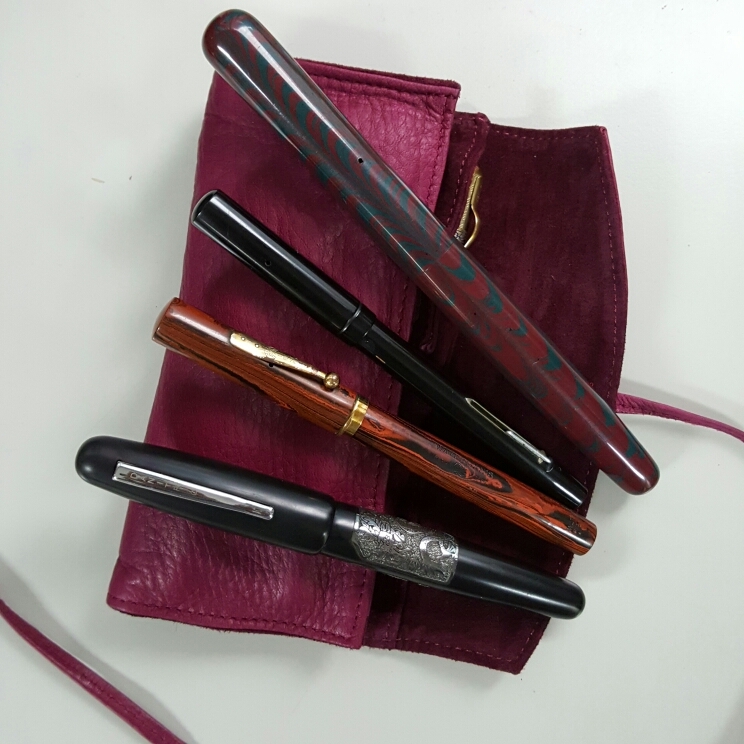 Recently, Teri sent me a new pen she’d designed, called the Monterey, also made by Ranga. Those of you who read my blog or follow me on Instagram or Twitter have most likely seen my Zebra G nib hacking adventures on Ranga pens. The Monterey offers a similar kind of fun, less the bloody fingers. The Monterey accepts screw-in JoWo no. 6 nibs. PSP can also fit a Bock 14k nib inside the JoWo housing. And, for those of you who are used to moving nibs around from pen to pen, the Monterey just gives you more options. Those nibs are pretty much interchangeable. What fun! I think my next Monterey will be in orange ebonite. Teri asked me to donate to a charity in lieu of paying her for the pen, so I gave to Save the Children, whom I believe do great work here on the ground in the Philippines and in many other parts of the world. 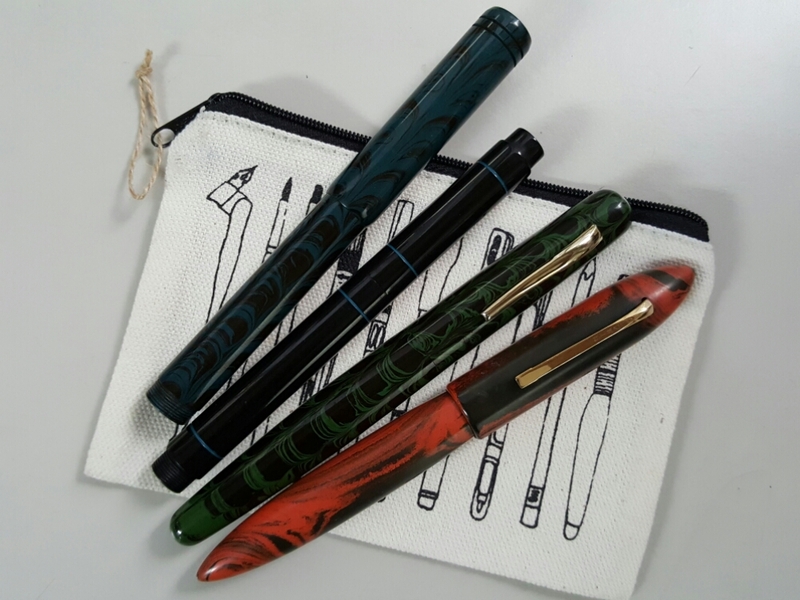 It’s fascinating how a material like ebonite, born when there were no cars, no computers, no televisions, is still in popular use today for an object like a fountain pen, that should have faded into memory and yet is not only holding on, but thriving.